Our pest proofing service is the ideal way to keep your premises free from infestations in the long term. Our expert technicians will check over every inch of your property so that any entry points can be covered, leaving pests with no way in. When you are suffering from a pest infestation, then you will naturally want the offending creatures dealt with as quickly and efficiently as possible. However, this work is only one side of what we offer here at Pest Solutions. While the pests themselves certainly do need to be removed, it is also important that the entry routes that they used to get into the property aren’t left open. Otherwise, more animals could easily follow that same path, and you will be left right back where you started. For that reason, we are pleased to offer a comprehensive pest proofing service that will help you to keep your premises pest-free for the foreseeable future. 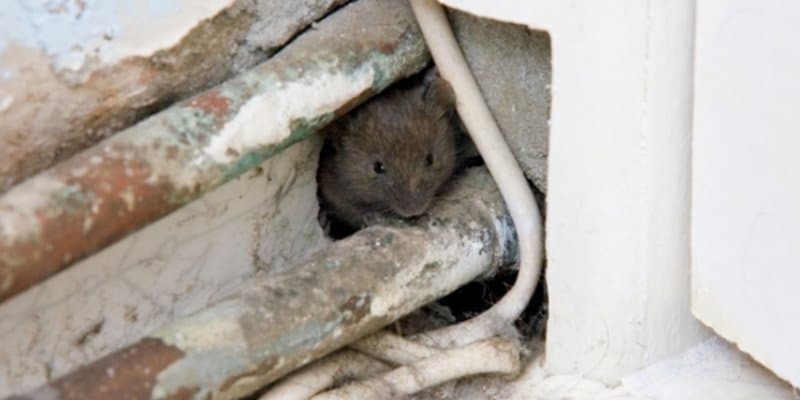 A large proportion of our pest proofing work revolves around rodents. Rats and mice have been problem species for centuries, and this is largely due to the speed at which they can reproduce. In just a year’s time, a single pair of rats can produce up to 2000 descendants- and as you might expect, this makes a rat infestation very difficult for most people to deal with. At Pest Solutions, we can help tackle even the largest of rat problems, but it’s better to stop these issues from arising in the first place. Rats can carry all kinds of diseases which pose a serious threat to public health, and it can be very costly to repeatedly call in pest controllers like us every time the rats come back. Instead, you’ll want to keep them well away from your property entirely, and the only way to stop them is via an expert pest proofing service. How Does Pest Proofing Work? Many pests get into properties through entry points that are exceptionally small- so tiny, in fact, that few people would even spot that they exist. To pest species, though, these entrances act like a magnet, since they allow the animals to enter a warm, dry place that will give them shelter from the elements and predators. In order to identify and seal up these gaps, our expert pest control technicians will perform a thorough survey of your entire building, both inside and out. That way, we can find out exactly how pest species are getting in, and then shut off those entrances to stop the problem in its tracks. This typically involves either bricks and mortar or a special foam sealant to offer long-lasting protection against the elements. That being said, such entry points are only the first part of the pest proofing process. It is also important to keep the inside of your property covered. Many smaller species of pest are slight enough to slip through the spaces under doors and roller shutters. Of course, you can’t seal up these spaces, since you would then be unable to enter the building yourself. Instead, our pest control technicians can install brush strips on the bottom, which stop animals from passing beneath doors and shutters without interfering with normal use. Finally, we don’t just limit our pest proofing to ground-level entrances. Some pests, such as squirrels, use drainpipes and gutters to clamber up the outside of buildings. They may settle on the roof, or alternatively be seeking a way inside higher up. Either way, this issue needs to be dealt with if you are to have any hope of keeping your property pest-free. To do this, we can fit specialised products that stop rodents from climbing inside the pipes, and make it next to impossible for them to cling to the outside, too. By keeping every route into your home or business covered, you can rest assured that any unwelcome guests will have an extremely difficult time of making their way in. Don’t leave your home or business open to any pests that feel like moving in. Instead, let Pest Solutions provide you with an expert pest proofing service that will deliver outstanding results. Before starting work, we will be happy to provide you with a free, no-obligation survey. As well as helping us come up with the perfect pest proofing plan to suit your needs, this survey also lets you see first-hand the experience and professionalism that our technicians bring to every job. Whether you are in the grip of a pest infestation, or simply want to stop any future issues from arising, please don’t hesitate to contact Pest Solutions today. Call us direct on 0800 027 2555 to arrange a FREE survey or a service call out. Our highly-trained technicians are on hand in branches across the UK, so we can respond promptly to resolve any pest problems you might be experiencing.